You’ve heard the saying, “You are what you eat.” Well it holds true for flowers too! If you eat a diet with plenty of the right nutrients and limit the bad ones, you’ll be healthier. If you feed your flowers a diet of the right nutrients and limit the bad ones – they will be healthier and last longer, potentially saving you hundreds of dollars a year!! 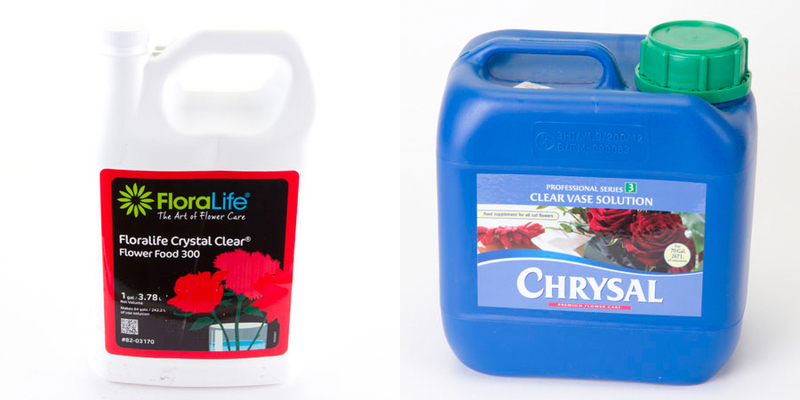 There are several solutions to choose from; the most familiar being Floralife Crystal Clear (Flower Food 300) and Chrysal 3 Vase Solution. Both are great, tried and true products that contain the RIGHT ingredients. 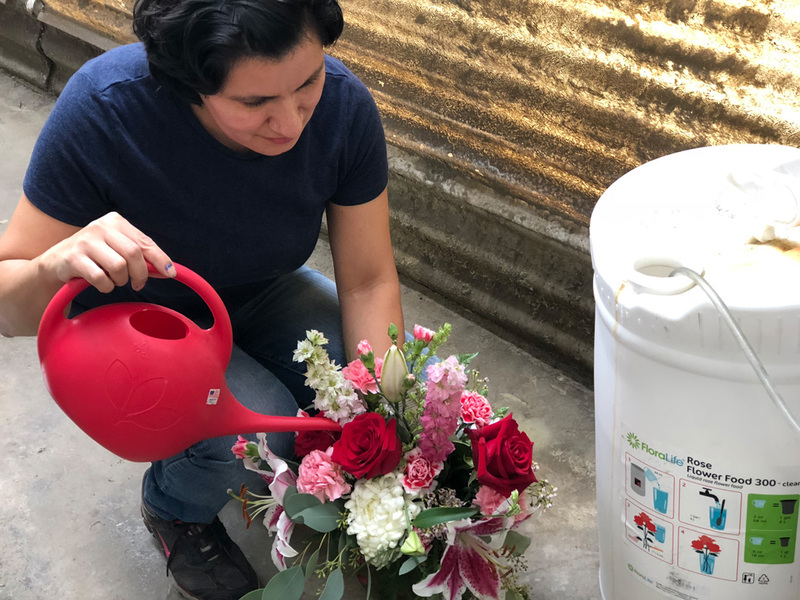 Every time you process product (after hydrating, if you are using a separate hydrating solution), for filling vases and soaking foam for arrangements. MEASURE! MEASURE! MEASURE! Correctly measuring your floral solutions is the single most important part of processing. Let me say that again, correctly measuring your floral solutions is the single most important part of processing. Too Weak – this provides food for not only the flowers, but the bacteria/fungi as well. A weaker solution will not have enough ingredients to kill them and the bacteria/Fungi will actually GROW FASTER!! Keep a pitcher nearby that allows you to measure liquid if you are mixing with powder. Or even better, a dosing system is easy, inexpensive (free – ask us!) and accurate every time!